A Year’s Worth of Confidence for Only $100! 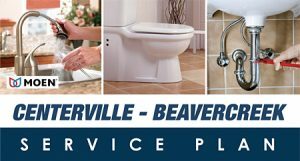 The Centerville-Beavercreek Service Plan (CBSP), has been introduced as a way to help prevent you from having to deal with costly and time-consuming problems associated with plumbing. Our certified professionals have over 80 years of experience in the industry, and will provide members with priority service and discounted rates at their homes or places of business. All toilets are checked and tested for leaks and smooth operation. Adjustments are FREE!